I confess, I’m fairly touchy with the unfollow button on Twitter. I even periodically go through my follow list with the goal to cut a certain amount of people before I allow myself to follow more people. See below for what sets off my trigger button. On August 14, 2013, my grandmother Arlene Dymock passed away unexpectedly. As I sat at her bedside, I searched my mind to recall all of the good moments before they faded. I realized that most of my outdoor childhood memories contained her. 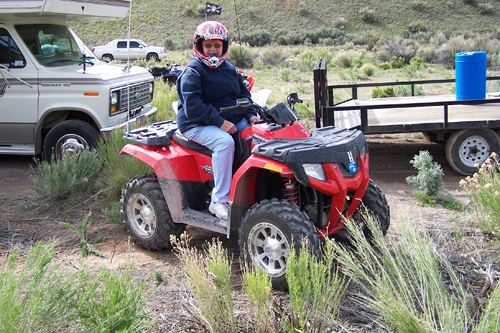 Whether hiking the trail to Angel’s Landing or four-wheeling in Moab, she was there. This was taken when she was around 78 or 79. Two weeks before she passed at 83, she told my aunt she wanted to ride again.